The association library was set up to help members taking BBKA exams and also for general reading and enlightenment. There is a large range of titles available in the library, both old and new. Priority for loans will be given to those studying for exams but the books are available to all members. 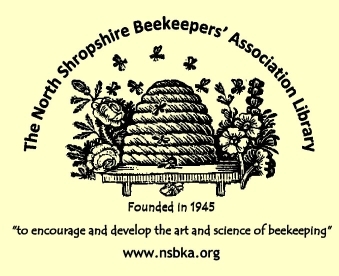 The full library listing is available to search and browse online, and to access the lists and request a book you will need to be registered on the NSBKA website and logged in. You can also leave your own reviews of any of the books online in the NSBKA library. Books may be picked up and returned at Association meetings. Alternatively, books may be requested by phone or e-mail and arrangements for collection agreed with the Librarian. Books may be recalled if requested by another member or after three months loan. A donation will be requested for any books lost. If there is a particular book that you would like to see in the library, please contact the Association Librarian with your title suggestion. The Library also has a section containing members own books which they are willing to loan out to other members. The NSBKA Library does not assume any responsibility for these members' books, the library merely helps to facilitate their lending between members by listing their titles. All responsibility for the books and the arrangements surrounding these books will remain a private matter between the members concerned. You can search for books/titles etc without needing to log in to the website, but you will need to be logged in to reserve and request the books that you want.